When I first opened your post I thought it was a photo of The Husband. I do like how happy the two of you are in the second picture. It was nice to learn a little more about you, you have placed "your bets" well. Sara, you are right about how lucky we are with or without our troubles and problems, thanks for the reminder! PS are you sure you haven't married a movie star? Nice way to meet the in-law. Hear! Hear! on the charity! Old roommates are fun aren't they? I miss mine. Especially Kayvie in Boston. Yay! Fun stories and love how you met Papa! 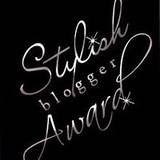 Great post :) Congrats on the award! Your first meeting with your husband's father is not the sort of thing you'd forget. I really love the film Giant too. Took you to meet his father without warning you? He's lucky you didn't break that arm. Great post. Oh your hubs does look like Bradley! I haven't seen Giant for years - ok i'm going to track that down and watch it. First - Loved all that you divulged. To repeat a lot of the other comments, you really do appear to be married to Bradley. A French Bradley. Good work! Second - Thank you for passing the award to me! This is my very first so you're going to have to give me a little guidance on what the next step is. Clearly you're just the most stylish blogger ever! Congrats on getting this award again, and by the way, #5 made me laugh out loud! I would have reacted the same exact way if I someone told me I'd marry my best friend and move to Arizona without knowing a soul here! Mr. A says that I have an unnatural obsession with Bradley Cooper. That probably means that I have an unnatural obsession with your husband. That's weird. And how your hubs introduced you (or actually didn't introduce you) to Papa is SOOOOO how my hubs rolls. It drives me insane....how about a little more communication pal?! I'll take a martini, how fun! um, i loved reading your answers/getting to know you more! I hope you have a great weekend! That's neat that you went to Texas Military Institute. Why did you decide to go there? I completely agree with #7. I've met some really kind people lately who're very inspiring and I aspire to be more like them. Sneak introduction to Papa, not very nice at all! I love all your stories. And I'll need to check out that movie. Ooh la lahhh! I'll be another person to say it, but the Husband does look almost exactly like Bradley Cooper - no wonder you're dreaming about him! Double score :) Happy Monday Sara! CONGRATULATIONS! Well deserved, no doubt. And my stars! Your husband could be Bradley's twin, but as he won't be reading this post he won't know he made so many of us swoon. Loved your thoughts on charity...I'm sharing that one with the kiddos! Congrats! 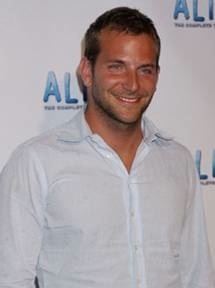 Yes, I agree with everyone else...he def looks like Bradley Cooper! Lucky girl you are :) I love Bradley Cooper! Thanks for stumbling upon my blog..so that I could discover yours. Going to follow..you have such a great love story...I don't know how you do it..far away from all you know and in a country where you don't speak the language. he must be a KEEPER...at least it appears that way from the photo:) SO handsome. WOW! He looks IDENTICAL to Bradley Cooper! Amazing! Just stopping by your blog to check it out... I saw this post and had to comment.. A few years back my hubby and I were in L.A. (Sherman Oaks) at the resto- Le Pain Quotidien and Bradley Cooper was sitting right across from our table.. He was alone and seemed to be listening with intent to us speaking in French... haha! My husband said to me quietly- "Isn't that guy over there an actor?" I didn't even know him back then by sight- but VERYYYYY handsome indeed (it was back in April 2008). I had to look him up later on the computer and realized who he was- Oh my! Do you know he also speaks French?! Next time I see him.. (haha)... I'll have to go up to him and say something..
Congrats, my dear!!! Your blog is really awesome, and love it! I hope someone bestows me an award too:). Dreaming much? Ha, yes!